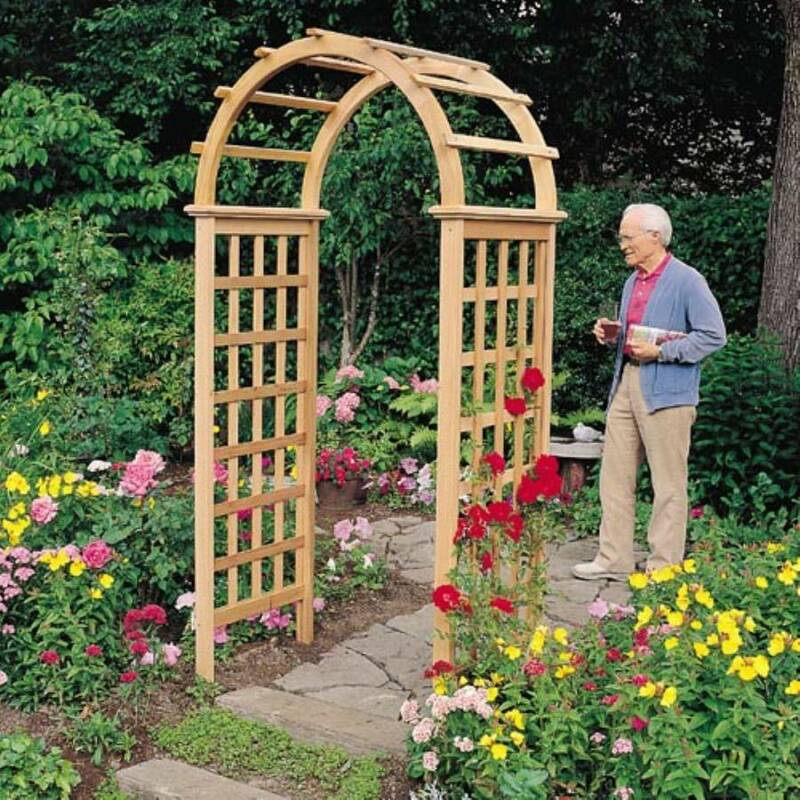 Special attention to design and construction distinguish this handsome arbor. The Victoria's smoothly jointed arches mount directly to edge-molded ledger boards, while airy lattice side panels lend a true custom look. Arboria structures are neatly packaged for convenient transportation and designed for easy assembly. The arbors can be assembled in under 30 minutes following the comprehensive, step-by-step instructions. Many parts are pre-assembled, and are easily fitted together using pre-drilled pilot holes. All assembly and installation hardware, including concrete anchors for the arbors, is provided. Recommendations regarding finishing options are also included. The assembly of Arboria products is an ideal project to embolden the not-so-handy and impress the skilled craftsman. 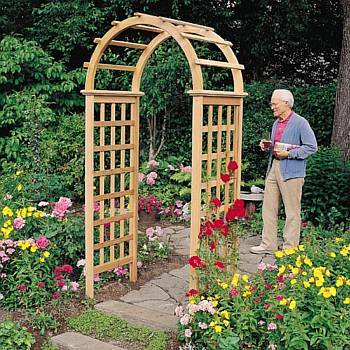 Please click here for Victoria Garden Arbor Instruction Manual. Victoria is designed for smaller spaces with a fixed-width 36.5-inch clear opening. For lasting strength, the arches are constructed with finger-jointed 2-inch clear cedar with no metal fasteners to stain the wood. The pre-assembled side panels feature durable, furniture-style mortise and tenon joinery of rail to posts. To support demanding climbing plants, the heavy-duty lattice panels are glued and stapled at every joint and set into channels in the surrounding frame. Staples are aluminum and won't bleed. Packaged in a single carton and complete with all hardware and easy-to-use instructions. Includes four galvanized steel anchors for securing arbor with cement. Made in the USA of premium grade, 100% Western Red Cedar. Dimensions: Width 41 1/4", Depth 27", Inside Height 84 1/4" Overall Height 87"